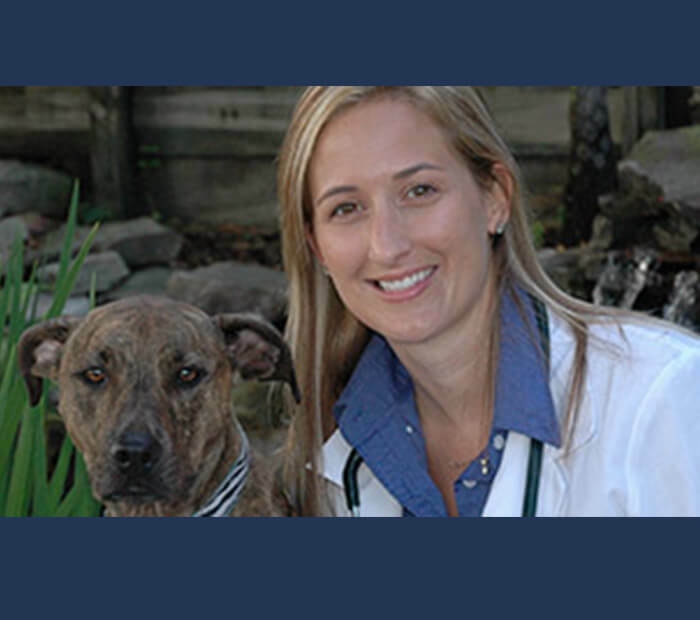 Dr. Marianne Janosco focuses her veterinary philosophy on practicing high quality, preventive medicine. Every person and pet she sees is like family to Dr Janosco. To always stay up to date on the latest in veterinary medicine, she maintains membership in multiple professional associations and regularly attends local and statewide continuing education classes. She takes great pride in representing Winter Park Veterinary Hospital and her community. She believes so strongly that all pets deserve the best veterinary care possible that she has traveled all over the world helping animals in need, along with educating others in less fortunate environments on how to care for their pets. These areas of travel include Germany, Honduras, Nicaragua, Botswana, South Africa, and Zimbabwe. Dr Janosco grew up in the New England area and graduated with a B.S. Degree in Zoology from the University of New Hampshire in 2005. She worked as a primate keeper at a local zoo in Maine while completing her undergraduate studies. She moved to Orlando and worked as a Zoo Keeper at Disney's Animal Kingdom Lodge and Disney's Animal Kingdom Hospital before attending veterinary school 2007. She earned her Doctorate of Veterinary Medicine from the University of Florida as part of the graduating class of 2011. Go Gators! Dr. Janosco currently resides in Winter Park. She has two adopted dogs, Lily and Faith, and an adopted cat, Fennie. Lily is a 7 year old Chihuahua mix rescued from Hurricane Katrina and was her study-buddy throughout veterinary school. Faith, a 3 year old pit bull mix, is a rescue from an abuse and neglect case down in West Palm. Fennie (named after the great Fenway Park!) is a 1 year old female cat adopted after surviving pneumonia as a kitten. She is recently engaged to her fiancé, Steven Luppert, whom she met in her junior year of vet school. In her free time she enjoys spending time with friends and family, playing volleyball and softball, stand up paddle boarding, watching the Red Sox, and listening to country music. As a child her family opened their home to fostering and socializing shy "unadoptable" dogs for the local animal shelter and she continued this throughout all of veterinary school. Her professional interests include dermatology, surgery, preventative medicine, international medicine and wildlife.